Video: ManAboutWorld’s Traveling Tom Visits Kyoto, Japan! Japan has a problem other destinations would love to have. They have a rich abundance of incredibly cool things spread throughout the country that are unique to Japan. From wild, hand-picked (and crazy expensive) green teas to delicately woven charms meant to insert in envelopes — but only for correspondence with a cheerful message — to sweet/spicy wasabi treats and much more. The Wonder 500 gathered 500 products from 47 prefectures and eight categories (travel, kitchenwares, housewares, stationery, interior, fashion, food and beverages) to display in an intimate venue that is open to the public (a 4 West 43rd St just west of 5th Ave). This is an opportunity to discover some of what makes Japan so special. Have some tea; try a treat; purchase a few very early Christmas presents; and escape from New York to the Land of the Rising Sun for a delicious hour or so. The Wonder 500™ exhibition runs from January 28th until February 9th at the Exhibition Hall at 4 West 43rd Street (4-16 West 43rd Street, New York, NY 10036, USA) from 11:00 a.m. until 7:00 p.m. daily, with admission free to the public. For more information, visit www.TheWonder500.com. 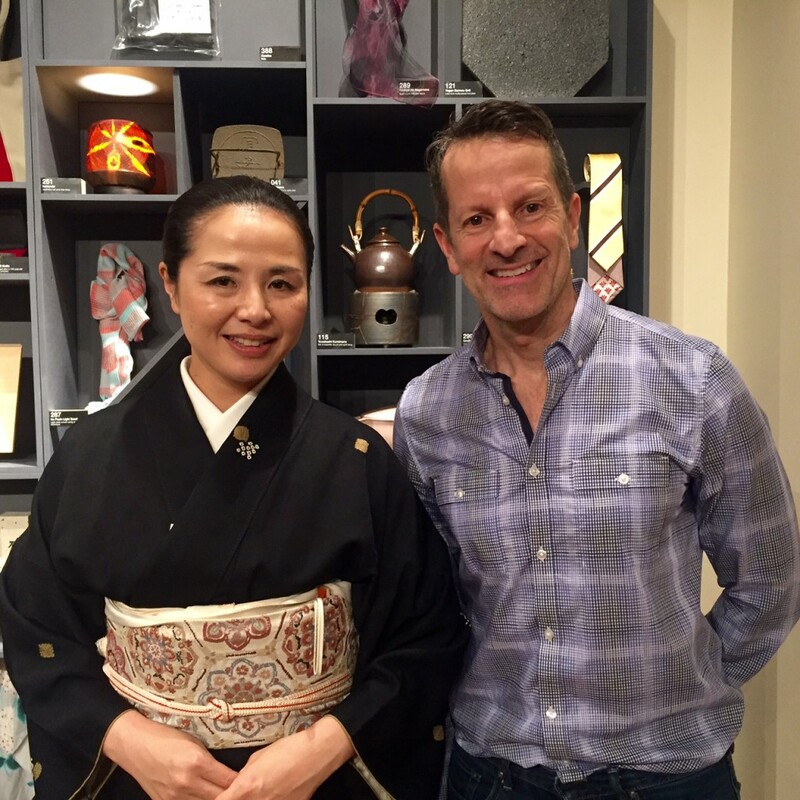 Photos: Above is ManAboutWorld editor in chief with Ritsuko Nakamura in a traditional kimono at the Wonder 500 in New York and below is a selection of items you will find there. A lot has been made of the fuel efficiency and the 30% larger, electronically-dimming windows, but the real advance for travelers is the air quality. 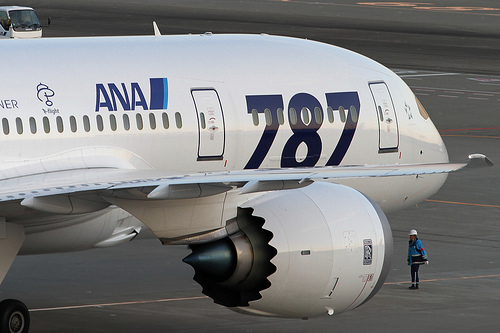 You might not appreciate it on a short flight, as veteran travel reporter Stephanie Rosenbloom at the New York Times observed on her test flight, but flying across the Pacific to Japan as we did shortly before the flights were grounded, the difference was striking.